The E-PROPS propellers are very strong. See how they are made on the MANUFACTURING page. Furthermore, all E-PROPS models have a Nanostrength® special shock additive, which strongly reinforces the leading edge. See here the LEADING EDGE PROTECTION. In light aviation, the propellers have a max rotation speed at tips between 0,50 and 0,75 Mach, it means between about 600 and 900 km/h. At those speeds, a very small impact may have very important consequences on the blades. Long flights under heavy rains at high RPM may also erode the leading edge of the blades. In this case, it is recommended to protect the leading edges with a special tape, used on helicopter rotor blades (on sale on this e-shop). See here the EXTRA PROTECTION : POLYURETHANE TAPE. => All E-PROPS blades for Aircraft are equipped with this special polyurethane tape. 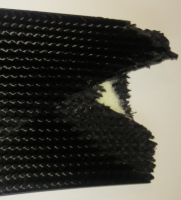 The E-PROPS propellers are made in 100% carbon braid. This process is named HCF : Helical Continuous Fibers. Many impacts are minor, and can be easily repaired. the tips can be easily repaired, localised impacts too. A proper cut and / or a repair kit may be enough for those small repairs. Be careful with the balancing to avoid vibrations. Please note : if an incident or a shock require an important repair, this one must be realized by E-PROPS in its workshops, or by a specialist after discussions with the team E-PROPS. Be careful with the propellers repaired without agreement : do not forget that the propellers have a max rotation speed at tips more than 600 km/h. A repair has to be properly carried out. 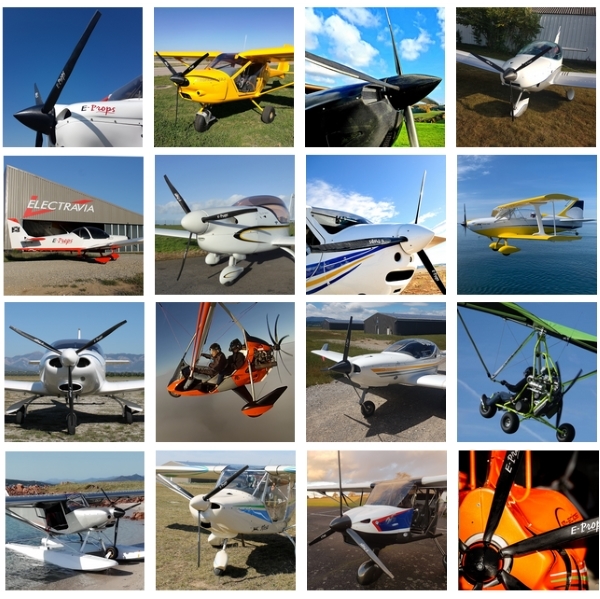 At E-PROPS, it is possible to change only one blade. It is not necessary to buy a complete new propeller. Each blade has a unique serial number. With this serial number, our team will find its technical file, and can make a new blade, well-balanced with the remaining good blade. Traceability is essential for E-PROPS. A RFID chip is in each blade is inserted in each blade, with all technical data inside : manufacturing date, detailed monitoring (braid batch, epoxy resin batch, additives...), names of the workers, measures (temperatures, pressures) and weights all along the manufacturing process, finish, commercial file. To know if a blade or a propeller can be repaired, you may send pictures to our commercial department. Please send files with a reasonable size. 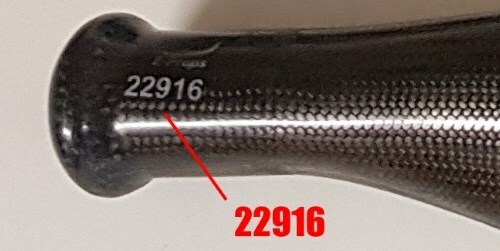 Indicate the serial number of the broken blade (or the one of the good remaining blade). Please note => When a parcel is shipped to E-PROPS by a customer for a repair or a component change : the shipping costs, the mandatory insurance of the parcel and the potential customs duties must be paid by the customer.